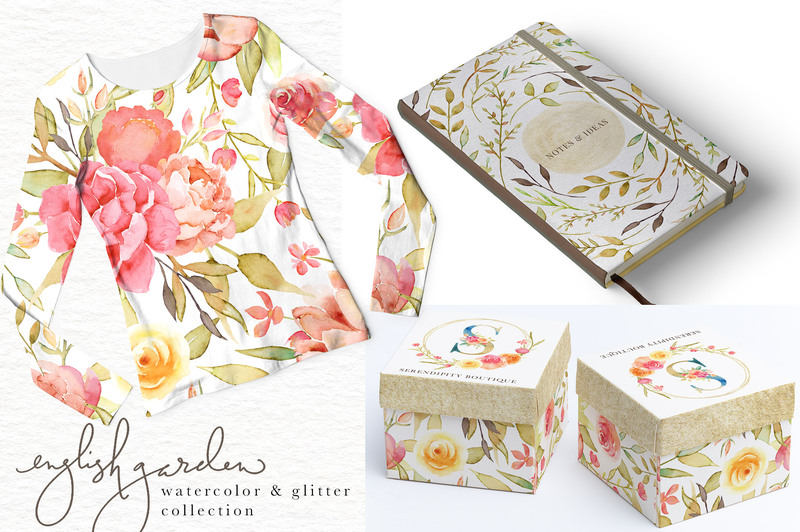 The English Garden Watercolor & Glitter Design Elements Bundle contains a whopping 300+ graphics to help you create a gorgeous floral design. 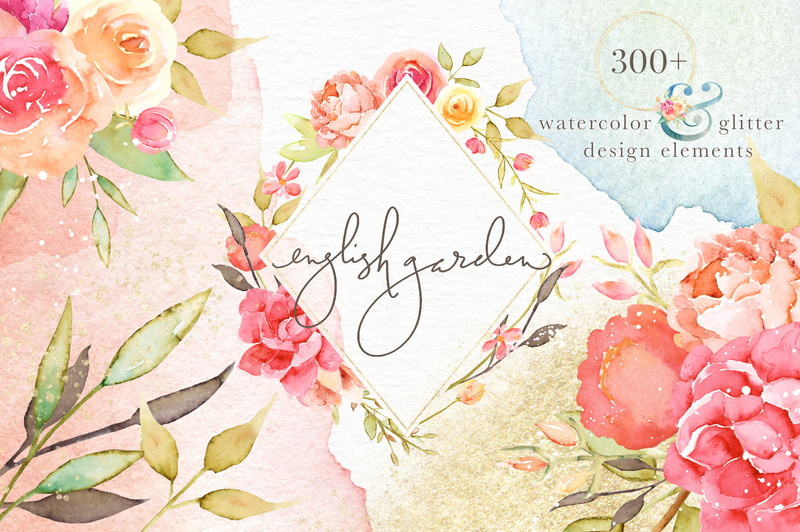 The English Garden Watercolor & Glitter Design Elements Bundle contains a whopping 300+ graphics to help you create a gorgeous floral design. 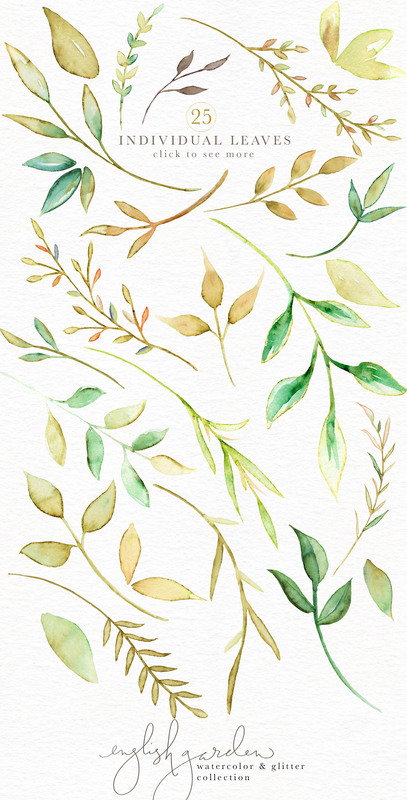 Wreaths, bouquets, alphabets, seamless patterns, individual leaves and flowers, washes, frames and more are included! Almost all are in .PNG format with a transparent background, and large scale 300 ppi. 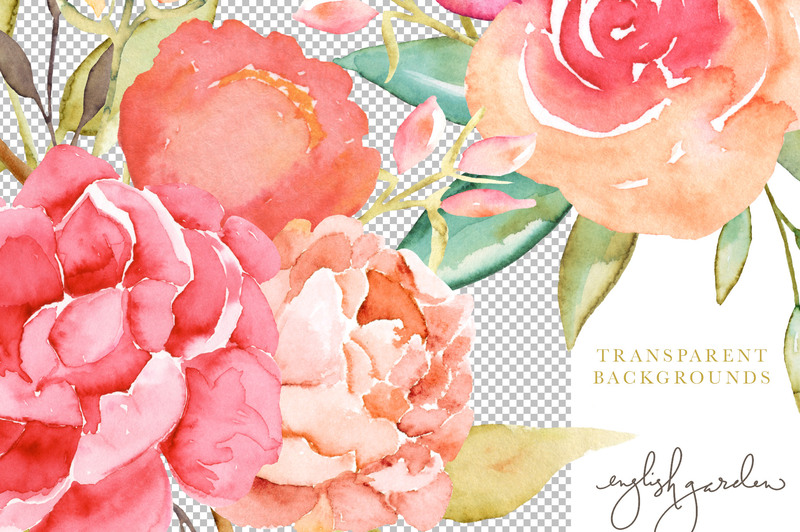 Design beautiful wedding invitations, packaging, logos, clothing, notebooks, wall decor and more! What a beautiful collection. I would also be very interested to know the name of the font used for English Garden. Thanks so much! Thanks for commenting and it is awesome to hear that you would love to hear the font that the designer has used for these preview graphics. I have popped them a message to see if they would be happy to help us identify this one for you, as soon as I hear back I will let you know :). You’re so welcome Helen and I will be in touch as soon as I hear more! Hi Annabel … Just wondering if you’ve heard back from Catherine Haugland of Eclectic Anthology yet. I believe it’s been about a week now. Thanks! Thank you so much for coming back to me and my apologies for any delay. Catherine actually hand lettered the script for her preview graphic for this one. The great news is that due to her receiving lots of really lovely feedback on this script, she is actually currently working on creating a full font which she hopes to release later this year, so I hope that you will really enjoy picking this one up for your collection when it becomes available :). Thanks so much for looking into this, Annabel. I will definitely be looking for this font for purchase when it becomes available. Thanks again! Yay we’re so glad that you think so Debbie, thank you so much for commenting! We’re so glad to hear that you love this collection and are really excited to take it for a spin!